I had a big surprise at the West Coast Pipe Show this weekend. My friend Sablebrush, who gifted me the Conrad I have this past January, brought the other one he owned so I could see it. After holding it and drooling for a few minutes, Jesse said, "Smoke it." I said, "Really? Are you sure?" He said "Of course, go ahead." The guys at the table (Richard Gray and Jon Guss) teased me a little at the pure joy on my face as I smoked. I told him later I wanted to show it to Dennis, a well known collector and seller of Charatans, so Jesse said to hold on to it until then. The next morning (Sunday), Jesse said I should smoke another bowl in it, so I did. The word spread that I was smoking a William Conrad pipe and few people came over to me to see it. I showed it to Dennis Congos and the fellow (sorry, I can't recall his name) working his table with him. They were very impressed to finally see a Charatan owned by Conrad. The other guy wanted to know if it was for sale, and I was told to tell anyone who asked that it was not. I know he was disappointed. Later on, when I was still smoking it, I was sitting with a few friends, and Jesse said that pipe really looked good on me. I smiled, and then he said, "You should own it." Well, shock, awe, surprise, and elation in interchangeable degrees must have registered on my face because it seemed to me that Richard and Jon were enjoying the moment quite a bit. Of course, I don't think they could have been as happy as I was, but it sure feels great to have good friends being very happy for you. 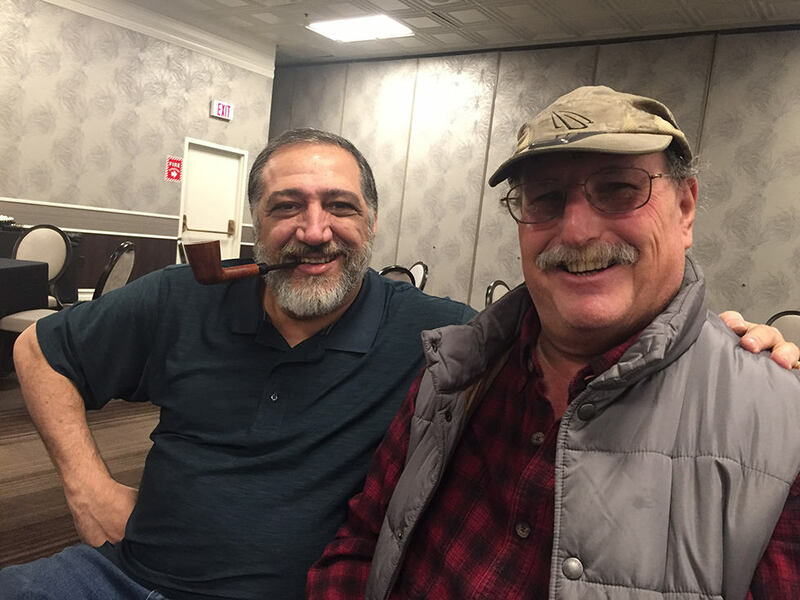 And now, I own two William Conrad pipes. Wow! A very cool story. Congratulations! 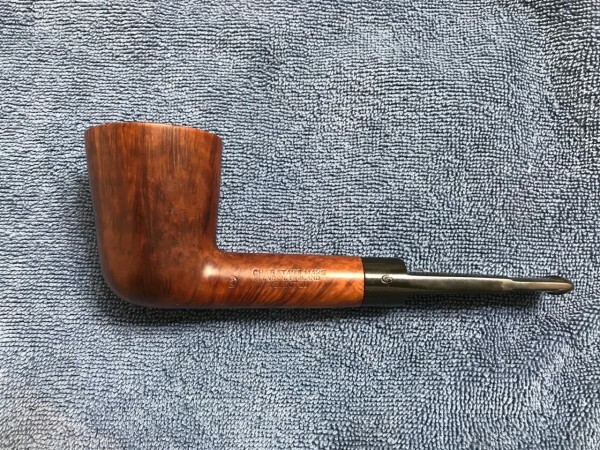 Very cool Jim, I can’t wait to see pics of this beauty and it’s sister pipe. Alan: Conrad was the original and best Matt Dillon on Gunsmoke, and co-creator of the character on radio. Conrad named Doc Addams after cartoonist Charles Addams, and Doc on radio drank a lot and had a much darker sense of humor than the TV version. He narrated The Fugitive, Wild World of Animals, The Unexpected, Escape on radio, Rocky and Bullwinkle, and of course, was Cannon in that long running TV series. He was Nero Wolfe on TV, too. Directed a lot of TV shows in the '50s through the 1970s. In the post WW2 era, Conrad was one of the most heard voices on radio. He was great! Wow! Way to go Sablebrush Congrats Jim. May it bring you many years of pleasure. I absolutely love stories like this! Yes, Bill Conrad was one of the greats "when radio was". Great acquisition. You should have known something was going to happen as soon as you sat at the table. I can't imagine Jesse, Jon, and Richard NOT messing with you somehow. George: Believe me, they gave me a load of it, all in fun, of course. We had such a great time together. But, honestly, I had no inkling Jesse was going to give me the pipe. He always said he was going to keep it, so there was no reason for me to think he'd change his mind. When he suggested I smoke, I just took it for granted that he wanted me to have a couple of smokes and enjoy that experience. Btw, the job you did on Jesse's 1872 Barling was magnificent. The work of a true master. Very generous gesture, Jesse! Good on you, Sir! Enjoy the heck out of it, Jim. Great story! How wonderful, what a great gesture of friendship, camaraderie, and appreciation. Wait a minute. I did WHAT? Jim, what did you slip into that drink you brought me from the bar? Very generous and selfless gesture, Jesse! I can hardly wait to see a picture of that pipe! Very cool, I thought that I saw you in the show pictures. I'll look forward to seeing the pipe in question! Here's a couple of pix. Jim's a happy man. Definitely a Sylvester the cat expression. A grin from ear to ear. What a wonderful thing to see. Congratulations Jim and way to go Jesse! Good looking pipe. Nice photo of the two stalwarts as well. Sounds like Saddlebrush is a swell guy in real life. I need to start making friends in the pipe community! I’ve never been gifted a pipe, even from my wife. What a cool story. It looks and sounds like you guys had a great time. Geezz... and everybody always sez I look like Edward G. Robinson!!! "I'm that man. Matt Dillon, United States Marshal. The first man they look for and the last they want to meet. It's a chancey job - and it makes a man watchful - and a little lonely"
You know, with Jim's appreciation for William Conrad's talent, this just seemed the right thing to do. Makes Jim happy, which makes me happy. Simple as that. Great story Jim. The pipe looks awesome. Just wondering - did his character in Cannon or Jake & The Fatman ever smoke a pipe? Cannon did smoke a pipe. I only remember seeing him smoke a cigar as "The Fat Man". Maybe somebody remembers better than I do? Reminds me of a story. An extra was on the side of the set at lunch time, and told somebody he was a life long William Conrad fan, and could the guy introduce him to Conrad. 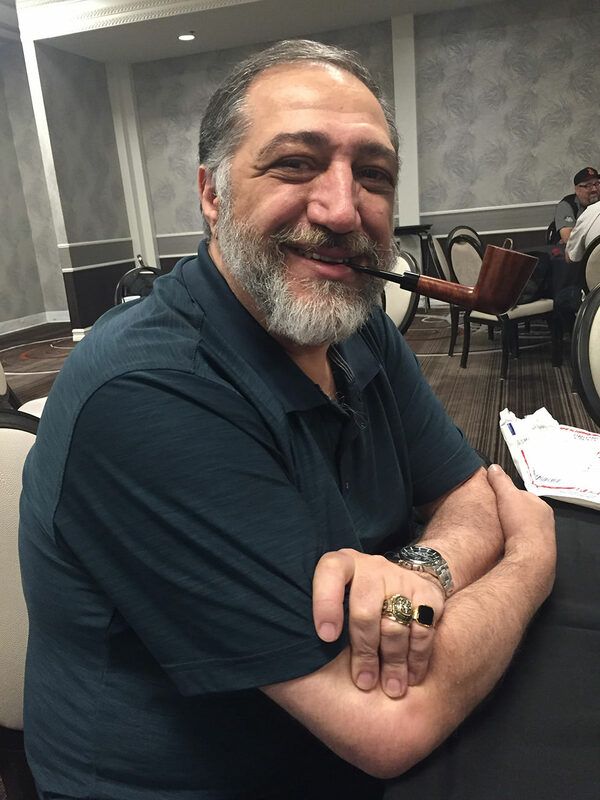 When they approached the table where Conrad was sitting, Conrad had a doughnut in one hand, and a cigar in the other. He put the cigar down to shake hands. He wasn't letting go of the doughnut. That's a helluva gesture there. Jim, much congratulations. Sable, good on you and do you need another friend? I'm available. No problem, got nothing but time. Just reach out when you next feel sanity slipping away and I'll be there to catch whatever you got... And don't limit yourself to just pipes, well aged tobacco makes a great gift during benders. that wasn't really a bender, jesse; i saw jim slip a roofie in your diet pepsi. if it's any consolation it was a vintage roofie, made by j&f bell in 1952. Would a vintage quaalude have similar effect? As long as it wasn't a contemporary roofie. They don't make 'em like that anymore. Jesse should know. He bought the vintage stuff from PillStud on eBay.